Set amidst bountiful rolling hills blanketed with wheat, barley and peas, Waitsburg was pioneered in the early 19th century. Lewis and Clark passed through this area in 1806 on the return from their historic expedition. Years later, along the banks of the Touchet River, the first grist mill was established to serve farmers in the area. The enterprising owner of that mill, Sylvester M. Wait, was honored as Waitsburg's namesake when the town was founded in 1865. Stability is a key to life here. The railroad that was built in 1881 continues to run today, and the city government was organized that same year. Currently, it's the only city in the state of Washington which still operates under the terms of its Territorial Charter. In 1878, the Waitsburg Times newspaper began publication, and readers have delighted in the weekly paper ever since. With a present population of 1,230 people, Waitsburg maintains a comfortable lifestyle in the abundant Pacific Northwest. Four distinct seasons punctuate the natural beauty of the area. Average rainfall here is 17 inches per year and in the wintertime, warm Chinook winds sustain a climate that many describe as "the Banana Belt." With a strong agricultural industry and a growing season of over 220 days, it is easy to understand why folks past and present decide to call Waitsburg home. Natural resources abound in the area, supporting clean energy initiatives and ample resources to support the community. The watershed from the Blues, which refreshed the early pioneers, provides today's residents with crystal clear spring water right to their taps. The town has approximately two dozen clubs and lodges, and four churches offering a wide variety of community involvement and volunteer opportunities. We have more than a dozen community events throughout the year, say hello to our neighbors, and take pride in ensuring that Waitsburg remains an engaged and friendly community for all. In 1865, a school was the very first public building in Waitsburg. Today, education continues to be a top priority for our community. Our K-12 program educates nearly 400 students every year. Dropout rates are extremely low, performance is high, and the percentage of high school graduates who go on to attend college is well above average. College selection is diverse and accessible, even locally, with two 4-year colleges as well as 2-year vocational training programs only 20 miles to the south in the Walla Walla Valley. Waitsburg's location in southeastern Washington, near the Blue Mountains and Snake River, presents residents with an outdoor paradise. 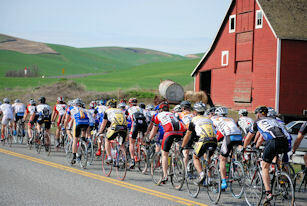 Exceptional cycling, hiking, hunting, fishing and water sports are moments away, and world-class wineries of the Walla Walla Valley are just a 20-minute drive. The Bluewood downhill ski basin is a scenic 30 miles from town. Waitsburg is a vibrant community for artists and musicians. The heritage of Bluegrass is alive and well, played by musicians of all ages during jam nights around town. Waitsburg is home to a large group of artists, from printmakers to painters, filmmakers to fiber artists, and everything in between. In 2015, the Waitsburg Arts Commission and community members brought the bronze sculpture works of notable artists Squire Broel, Wayne Chabre and Jeffrey Hill to Main Street. These works continue to inspire visitors today. Welcome to "One of a Kind" Waitsburg which runs right along the historic Lewis and Clark Trail. Waitsburg is a great place to visit, from our small independent businesses to our friendly people. 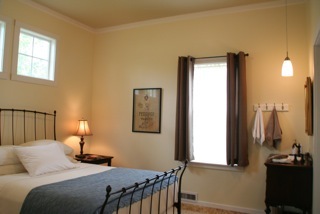 Enjoy Waitsburg's accommodations, have a great meal and peruse our local shops. Come sample some of the area's finest wines and craft beers. Our region is full of recreation opportunities, including cycling, boating, fishing, horseback riding, hiking historic trails, swimming and skiing. It's an experience you won't want to miss!